This is the most politically charged period in Britain’s long history since the Great Reform Act and the Free Trade Debates of the Edwardian Era. Most generations have a major debate upon which decades of politics hinge upon. The great debate of our time appears to be regarding Britain’s decision to leave the European Union with 51.9% of the population voting Leave. For months, as soon as the 2015 General Election was completed and the EU referendum was on the agenda, the public were fed all sorts of misinformation from both sides, in a vicious and slanderous campaign which often resulted in many online feuds depending upon which side of the coin you fell upon. It is this very campaign and environment, which I believe allowed for the far-right to thrive in. Never before has a great debate utilised a propaganda-spreading machine as well as the Internet, where the right-wing has dominated the proceedings since. On a nearly universal scale, any political post from any Party, regarding any issue, will almost certainly wake up an ultra-far-right-wing comment preaching about why they voted Leave, why there should be no more immigration, why ‘England’ is the best country on Earth and why anybody who disagrees with them is a ‘liberal snowflake’ who cannot handle the truth. Sadly, it is difficult to rationally argue against these people without bringing up a storm of similar comments from abusive Far-Right commentators, often in capital letters. It is this knife-edge political environment in which the British Electorate has sat in since 2016. A minority of people hold the majority of the commentary power online. Sure, there are ‘lefty loonies’ who also try to preach their points, and they are sometimes derogatory towards the far-right – but these are vastly dwarfed by the growing numbers of the alt-right who have gained confidence in their views since the vote to Leave the European Union and feel able to conduct their minority views on a large scale. They get lots of ‘likes’ on their comments, as many ordinary voters are urged to leave them alone unless they wish to start an argument with 20 people. This atmosphere of ordinary voters not feeling able to have their say online in fear of a far-right oppression campaign, is, in part, why the Conservatives have seen a rise in their vote since 2015. 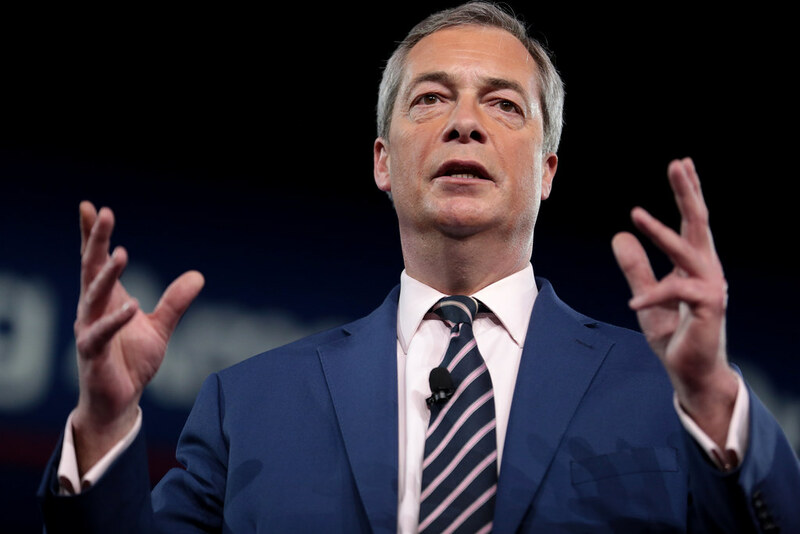 The traditional UKIP/Leave voters have switched allegiance in the promise of a hard-right Brexit; which was never the original intention of the Conservative party in 2015, as they wished to Remain in the EU. In this way, the Conservative Party have accurately assessed the role that the internet has played in the past year, and adopted their policies forthwith. If they can persuade these people with a massive online presence to vote for them; then they could (and have) shared it with the rest of their community. However, this is not to say that the decision to leave the EU has been the only factor in the far-right surge in online presence. Sadly, the terrorist attacks all over Europe and the Middle East have also contributed to a greater atmosphere of Islamophobia amongst them; in addition to the vibrant Nigel Farage heading the Leave campaign and UKIP. He was an excellent spokesperson for the campaigns (despite personally disagreeing with him entirely), and connected with a lot of voters. Coincidentally, without Farage at the helm of the movement in 2017, the comments from his supporters have got more extreme, as they are also unable to back up their ideas with much evidence at all.